PAGE 2008 in the SYMMETRY! 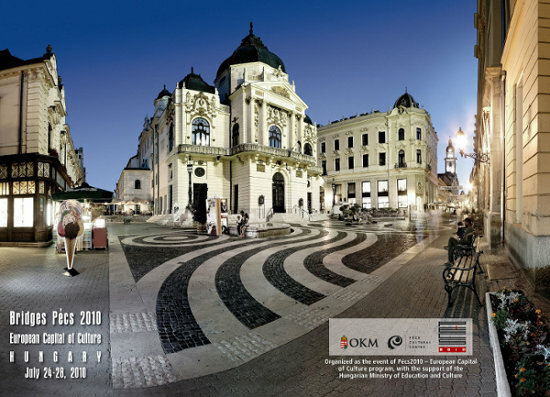 The "Pécs - Ars GEometrica - Interactions and Border Crossings in Art and Science" project gladly inform their participants, audience, supporters and friends that the Journal of the Symmetrion has published the lectures of the "PAGE 2008′s Art and Science in Islam Ornamentation, Architecture, Tile-Art and Music" session. 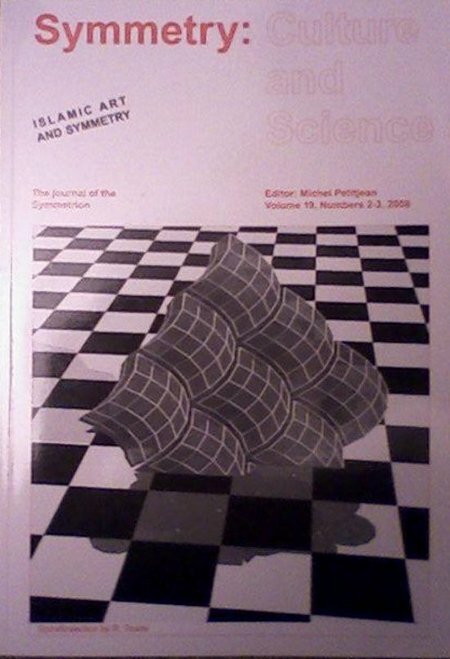 A thematical special issue, edited by Raymond Tennant and György Darvas. Thanks to the authors and the editors for this wonderful issue! Organizers of the Pecs Cultural Centre′s "Pecs-Ars GEometrica - Interactions and Border Crossings in Art and Science" project gladly inform their participants, audience, supporters and friends that the next year′s Bridges Pécs 2010 World Conference was successfully announced at the Bridges Banff 2009, held in the Banff International Research Station, Canada. The American Mathematical Society′s report about the event. Homepage of the Bridges Organization. Bridges Pecs 2010 Local Site. Accept our invitiation and join us in Bridges Pecs 2010!